Yet another church, Liège really is full of the them. This one features a nice lighting effect. 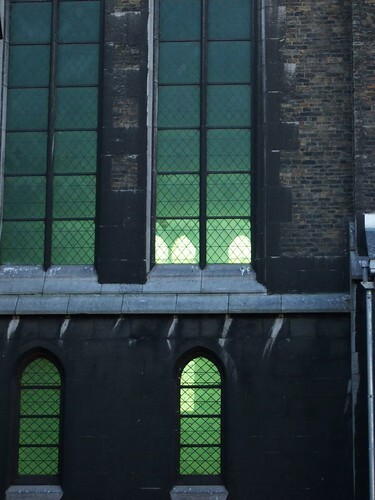 The windows glow green when the sun hits them at the right angle. Here's a zoomed in view. I mean no disrespect at all, but this close to All Hollow's Eve, I think it looks creepy! 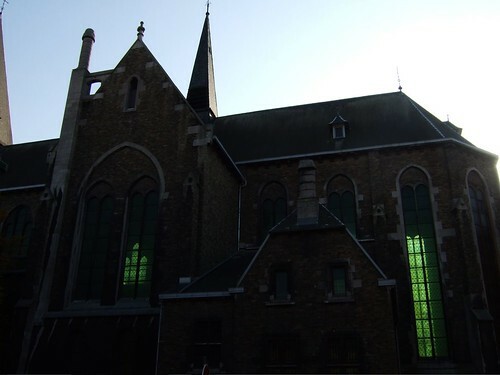 And a perfect place to have a haunting... nice!